Our clients expect exceptional results at a reasonable and predictable cost. Partnering with our clients, we utilize our experience and expertise to deliver on that expectation. We are knowledgeable, proactive, organized and efficient, and we add value for our clients in every case. 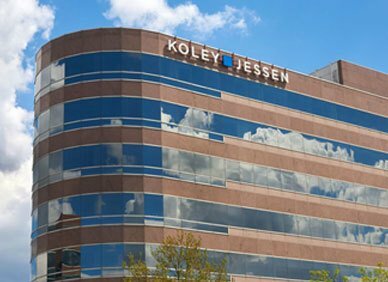 Koley Jessen is a recognized leader in complex commercial litigation, as well as in trial and appellate advocacy. This reputation has been earned by successfully representing a wide variety of clients, from publicly traded to large privately held companies, to ordinary businesses and individuals. Clients trust us to handle complex mediations, as well as administrative, judicial and arbitration proceedings throughout the United States, in matters ranging from everyday disputes to bet-the-company cases in excess of nine figures. We also have an extensive appellate practice that includes appeals to numerous appellate courts, including the U.S. Supreme Court. We have broad experience in the hands-on management and resolution of diverse claims in numerous industries, from both a prosecution and defense perspective, and we have several attorneys who have served as judicial clerks who provide a judicial perspective in analyzing and assessing risk. Judges and juries have consistently commented that we are among the best trial attorneys around and are adept at effectively using technology to present cases. This extensive experience enables us to minimize liability and maximize value for our clients. In short, our litigation team provides unparalleled client service, along with aggressive and professional representation, all within a compelling cost structure.